Discover Two Blackjack Strategies to Win a Jackpot. Winning a jackpot is difficult. There is no way to simplify the entire quest. You have to be a serious, committed and skilled player to win any jackpot, unless you just get lucky at one of the slots. This is true for both land based casinos and online games. You could play blackjack at a real casino or live online. 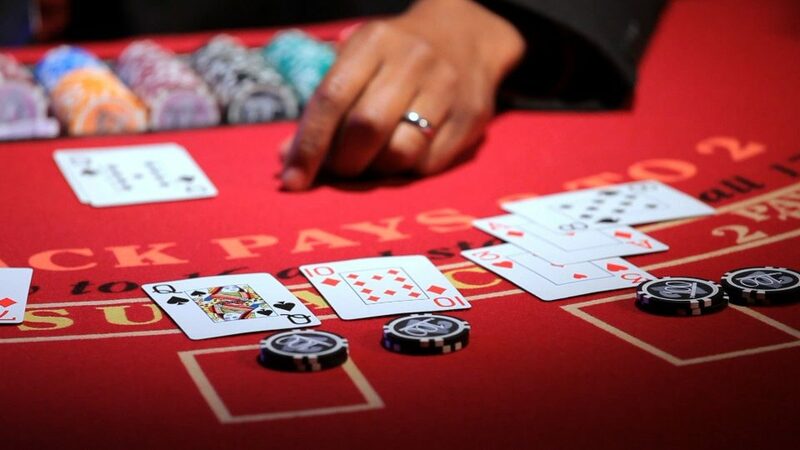 The odds of winning the jackpot will be influenced by the rules of the particular casino but you will still need to overcome overwhelming challenges. Every serious gambler wants to get rich by winning a jackpot. Thus, one typically invests time and effort to come up with several tactics to enhance their chances. There are different strategies you can employ to win in blackjack but there is a huge difference between an offline and an online version. Let us consider two killing blackjack strategies that will help you win the jackpot but you cannot use them online. These are shuffle tracking and hole-carding. • Shuffle tracking is not easy, even in land casinos where a dealer is just across the table. You have to be an astute player with years of experience to track the shuffle. Shuffle tracking is impossible when you are playing online. Casinos have different graphical interfaces and how they show the shuffle may or may not be coherent to the average player. You may simply have a deck served or you may be able to see the shuffle. Regardless of how the deck is shuffled and presented, you are unlikely to figure out how the cards are stacked when you are playing online blackjack. • Hole-carding is a useful technique in land casinos. You can grab a quick glimpse of the hole card of the dealer, one that is kept face down. Some dealers are casual in how they handle the hole card and it is possible to know what they have in store. Without this knowledge, you are basically wagering your bet and making choices on the basis of incomplete information. Dealers do look for a hole card that will simply end the game with a winning hand. Your bet can go awry if you are just hoping the dealer is not going to end the game with the hand already dealt. • Two strategies that actually work in online blackjack are card counting and ace sequencing. You can count cards at an online blackjack game and if you are efficient then you can win a jackpot. You may also want to play a progressive jackpot so you can keep winning and also place side bets. Many experienced players prefer a progressive jackpot to secure this advantage. A side bet can actually help you to win the entire jackpot whereas just a winning hand may get you a portion of the total prize money. • Ace sequencing is also possible in online blackjack. You track the aces, the ones being dealt and put away. You will be able to speculate if an ace is coming up anytime soon. This is not a surefire way but having a tactic is better than not having one at all. Check out https://gtrbetclub.com/games/blackjack and use effective strategies to win an online blackjack jackpot.